Digital Signature Certificates (DSC) is an electronic document issued by a Certificate Authority (CA) in the format of physical or paper certificates like passport and driving license.A Digital Signature Certificate is not only a digital equivalent of a hand written signature; it adds extra data electronically to any message or a document where it is used to make it more authentic and more secured. Certificates serve as a proof of identity of an individual for a certain purpose. 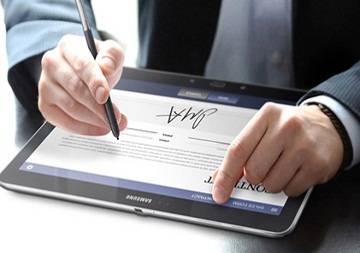 Digital Signature Certificate provides high level security for the information exchanged using a digital certificate. Digital Signature certificate encrypts the information in such a way that only the intended recipient can be able to read it. If the documents are digitally signed, we can assure the recipient that the information is not been changed in transit, and also it helps in verifying the identity of sender. A DSC must be issued by a trusted authority and are only valid for a specified time. Digital Signature certificates (DSC) can be applied in any online or offline applications and for organization or Individual. All applications will undergo necessary checks by the Registering Authority (RA) before getting approved. eMudhra is a licensed Certifying Authority (CA) of India issuing digital signature certificates. Class 1: For business people and the use of private persons. Class 2: For business people and the use of private persons and this certificate is used for most of filing save in case of positive tenders. Class 3: For managements and respective persons and it is used for E-commerce applications in front of (RA) Registration Authority you must prove your identity. It is very easy to take Class 2 and Class3, DGFT Digital Signature Certificate from Veeyeskay Consultancy Private Limited, Coimbatore at competitive price. Authorized Signatory proof of address.